A highlight on this safari is Serengeti National Park, Tanzania’s largest park and home to the annual wildebeest migration. Here embark on five game drives where you may spot the “Big 5”-lion, leopard, elephant, rhino, and Cape buffalo. We have also arranged an exclusive bush breakfast, a truly memorable experience! 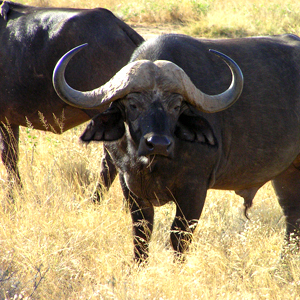 A full-day game drive in Ngorongoro Crater offers you the best possibility of seeing the rare black rhinoceros. Other stops include Lake Manyara National Park, home to the world’s largest concentration of baboon and Tarangire National Park, where a permanent water source draws in elephant, eland, zebra, Cape buffalo, wildebeest, and more. Tanzania offers much more than a great safari destination and this tour also gives you insights into the local culture. Visit a local family’s home in Tloma Village as well as a local primary school, where you’ll learn about the educational system in rural Tanzania. In Zanzibar, a walking tour of historic Stone Town introduces you to the famous spice markets and slave caves, a reminder of the not so distant past.